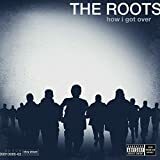 The Roots released their latest album, How I Got Over, this week. The disc features the band collaborating with several interesting musicians, including Joanna Newsom, My Morning Jacket's Jim James, John Legend, and others. To enter the contest, leave a comment in this post with the two musical artists you would most like to see collaborate on a song or album. This week's prizes are a $100 Threadless gift certificate and a copy of the Roots' How I Got Over album. The winner will be chosen randomly at midnight CT Friday evening (July 2nd).